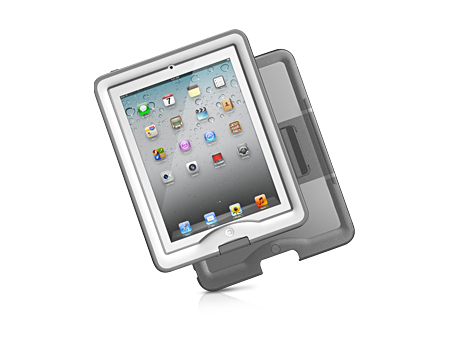 The LifeProof nüüd Case for iPad offers waterproof, dirt-proof, and shock-proof protection for tablet devices. Use your iPad with confidence wherever you go. The nüüd case for iPad offers waterproof, dirt-proof, snow-proof and shock-proof protection, and features a totally naked screen so you can enjoy your iPad. It delivers perfect visual clarity and uncompromised touch experience, while giving you LifeProof confidence to use your iPad at the beach, construction site, or simply letting the kids be kids with your iPad.